Motor already lined up (roller) - definitely going to be carbed for now however a nice fitech hopefully after Christmas! I'd love to see this! 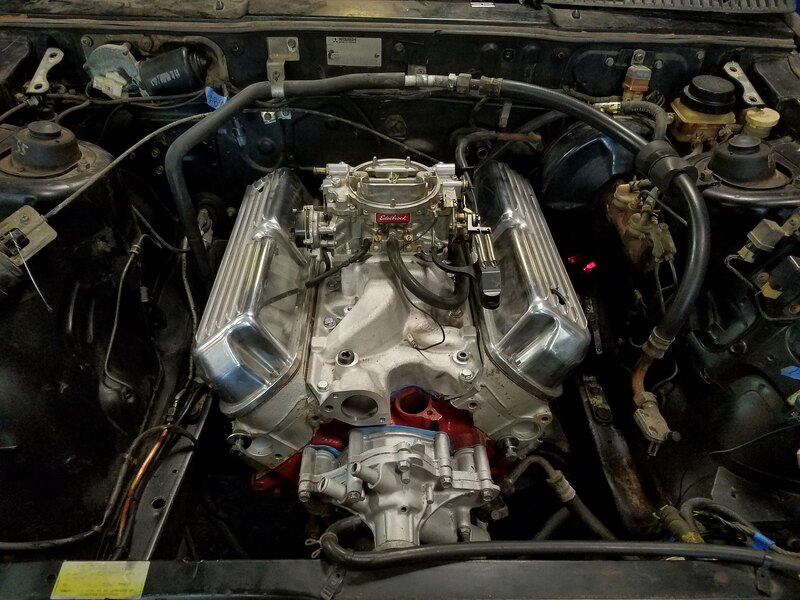 I have a 331 stroker/T5 swap done with mine. Follow me on instgram as well @PSiTSi. Go for it dude! Always good to see how someone else goes about their business! Just followed you, clean car man! Alrighty! I guess I will! As soon as I get a vid up of the car I'll post it here! I'll be watching. I also have a roller with empty engine bay. I was thinking maybe a 351 with a FItech & turbo. 351 since the blocks are stronger. Although I do have on hand a Ford 400 & closed chambered Australian heads with all the hi po parts to build it out. I'd at least consider blocking the 'Comments' on youtube. They can be brutal. Stupid & very ingorant, but brutal . First video up! Just showing the new car so the progression can be seen. Sorry for being so skiddish, not used to this whole talking to a camera deal. Since the video I've further put together the interior and a few other odds and ends. It's by no means a perfect car, but I have a feeling a nice coat of paint will make this car look a million times better. (Also... not digging the flat black wheels., might polish them this week.) I'll be doing some interior restoration, buying new seats for it, etc etc. I'll stop posting in this thread from here on out. No need, anyone interested can click on my YT channel or the first video and get to my channel from there. Good start, keep em coming! I'll try to.. between work (to fund the project) and school I've been pretty short on time. The goal is to have the swap done by New Years though! My brother has the same swap in his FC RX-7. 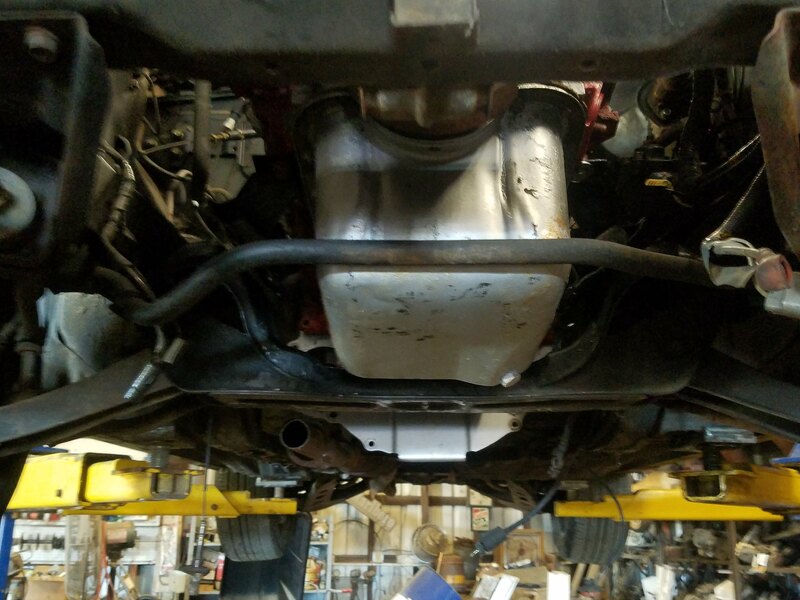 That is a raucous little car with headers and a big hole in the hood so the carb clears lol. You have about a week left. Are you going to make it? 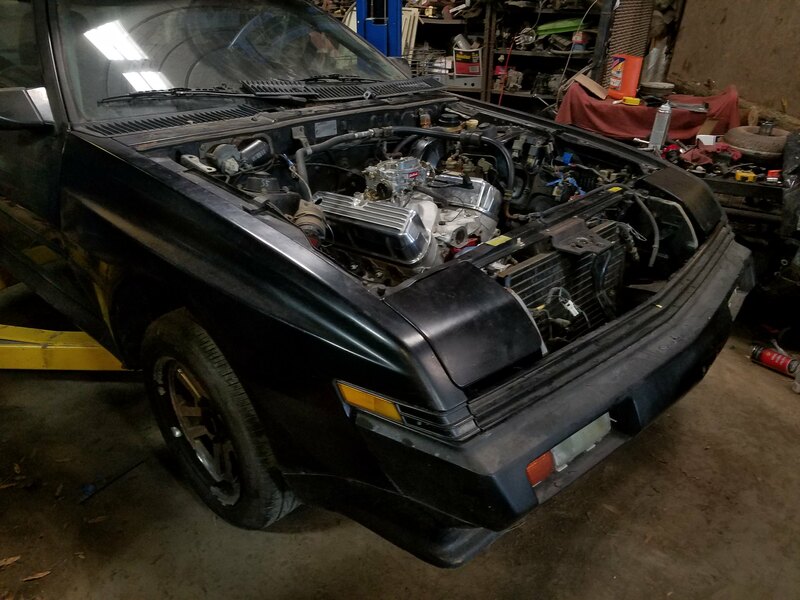 Also, whenever the build gets a little further along I'll be sure to post some pictures of the hood clearance, what intake/ motormounts I used, how I got the A/C hooked up, etc. etc. I'm happy to share information, just have to get some progress done first! School started back up and I'm still stuck without a transmission... progress will be slow but trust me the car won't be sold or go anywhere. I'll be keeping up with everything I do and report back as things happen. This is pretty much my dream car, just time and money are always short. Somewhat have a transmission, just have to put in new synchro keys and springs! A few odds/ ends and I'll hopefully be uploading a vid on the engine and trans going in/ being fitted up! Both are bolted in place in the Starquest. I'll be making a video sometime over spring break probably (school has been a pain.) Measured for a driveshaft and will be getting that made soon as well. Sorted through some of the wiring (plan to keep all the luxuries and gauges) and I'm currently trying to sort out fuel. It's coming along fast! Well I recorded some stuff for a video this week but overall not much got done. Ordered a few hundred dollars worth of parts, none of them came in time to use them over spring break. Also, instead of editing a pretty useless video with not much done I went with my family and saw Street Outlaws No Prep Kings today! It was pretty fun. Welp, that didn't work. Here's just a link to my Conquest's Flickr album. I have tons of photos, I'll try to upload some of the more useful ones over time. Out of school! Let the building begin! Have a V8 Harry (aka, OLIVE8)!